Ty Beanie Baby Inky – Without a Mouth vs With a Mouth. Becky Estenssoro shows how to tell the differences between a rare Inky-Tan WITHOUT a Mouth vs Inky’s WITH a Mouth (Tan & Pink). The TAN Inky’s were introduced in 1994. Inky-Tan WITHOUT a mouth was retired in 1994 and Inky-Tan WITH a mouth was retired in 1995. 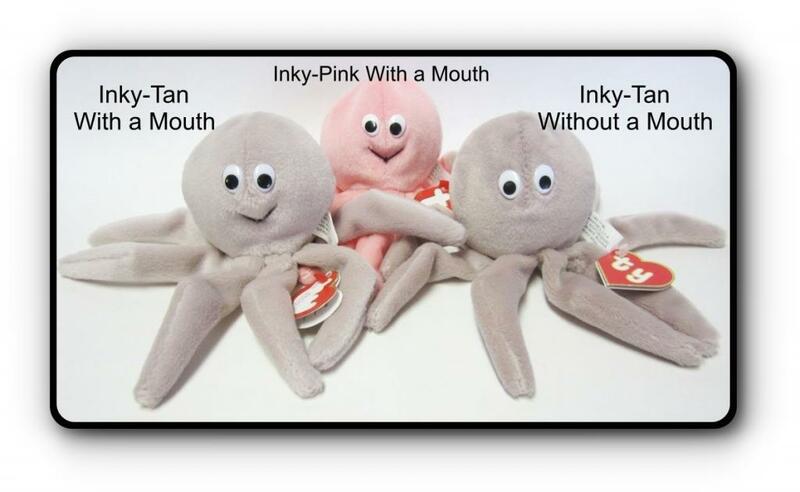 The Pink Inky’s were introduced in 1995, after the Inky-Tan WITH a mouth was retired. They came with big white oval eyes and 8-legs. Inky-tan WITHOUT a mouth is the RARER of the two Tan Inky’s! Inky-Tan WITHOUT a mouth only came with a 1st gen or 2nd gen swing tag. Inky-Tan WITH a mouth only came with a 2nd gen or 3rd gen swing tag. Inky-Tan WITHOUT a Mouth only came with a 1993 dated 1st gen black & white tush tag, as shown above, and in the video. If you see a 1995 dated tush tag or a different version tush tag other than what’s shown in the video, it is fake. Period. 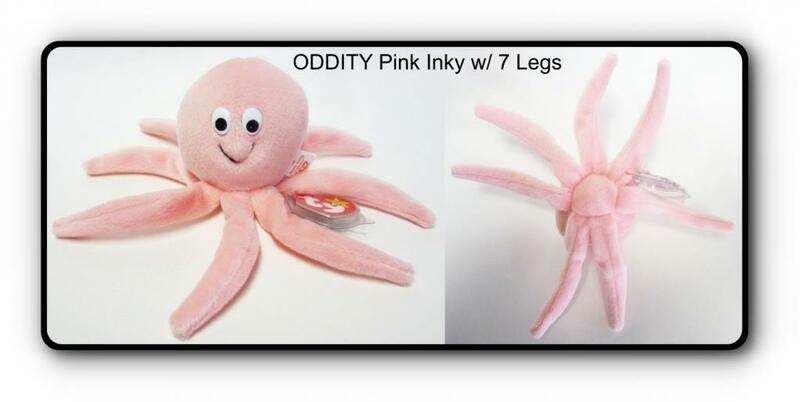 There are some very rare Oddity Inky’s (Tan and Pink) that came out with 7-legs, 9-legs, or 10-legs – and on even more rare occasions 6-legs.